Refugee Engagement and integration Through Community Theatre, (2016 – 18), in partnership with Rotterdams Wijktheater (Holland) and Centro per lo Sviluppo Creativo Danilo Dolci (Sicily); an EU Creative Europe community theatre programme for refugees to share their stories with host communities. To share our learning we hosted a festival of theatre made by refugees in Bristol, 26-29 March 2018. Use participatory theatre as a tool to challenge prejudice and misconceptions, develop empathy, and promote intercultural understanding between refugees and host communities. Develop personal and transferable skills in refugee participants, making positive improvements – building self confidence and self-esteem, presentation skills, language and communication, new friendships and awareness of host country cultures. Promote the positive contribution of refugees to host countries. 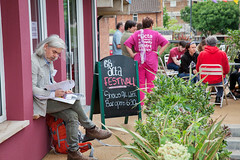 Be a transnational project linking European community theatre organisations with other agencies connected to refugees. Develop innovative approaches to delivering participatory theatre projects with refugees, to involve co-organising partners and wider sector. Create new high-quality community theatre with participants from refugee communities in different countries, and perform this work to wider communities in which refugees are resettled. Create models of good practice which can be replicated at local levels in other European countries, and disseminate learning to inform and influence new approaches to refugee integration across the European Union. Community Theatre provides a vehicle by which individuals from refugee communities are given the opportunity to explore their life experiences through a process of discussion, role-play, improvisation and developed theatre skills. There is a positive impact on participating individuals; developing language and communication skills, presentation skills, self-confidence and self-awareness. The performances of the resulting theatre to audiences offers a sharp insight into the hidden lives of the play-creators and performers, presenting and reinforcing the common humanity of the stories presented, challenging prejudices, breaking down barriers, forcing a re-evaluation of misconceptions and fear. 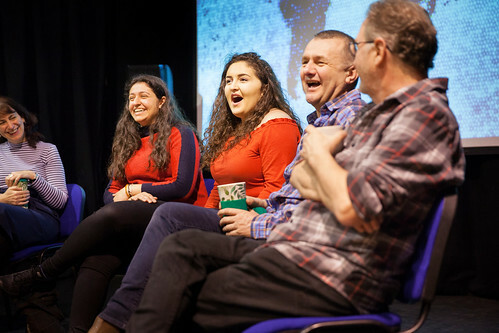 The theatre created is in the joint ownership of all those involved in the process, professional theatre facilitators and refugee participants alike, enhancing feelings of self-worth, pride, creating a bond between all involved; a bond which then extends to embrace the audience. Theatre has a particular and unique quality of being able to make a clear and immediate connection between audience and performers; when those performers are representing a refugee perspective, and presenting life from that specific viewpoint, then the audience has the opportunity to connect directly with that life-experience, and have the opportunity to develop and potentially change their preconceptions. 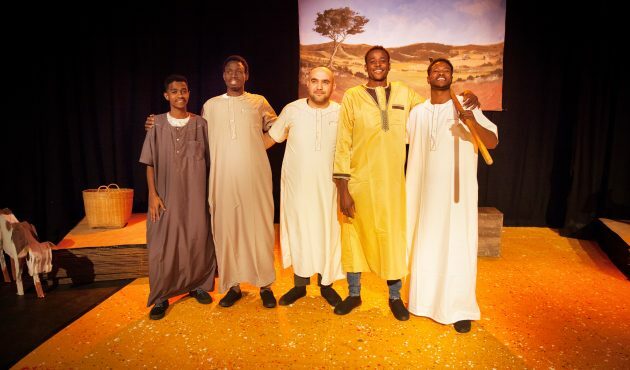 The social impact of this experience goes beyond the end of the theatrical presentation, and can greatly add to real change in attitudes between host communities and new arrivals, promoting understanding, appreciation and improving integration and community cohesion. These projects will engage participants in a process of sharing their experiences, hopes, imaginations, creativity, and using this sharing process as means of creating material from which to create a performance, aimed at engaging a local audience from the community in which they live. 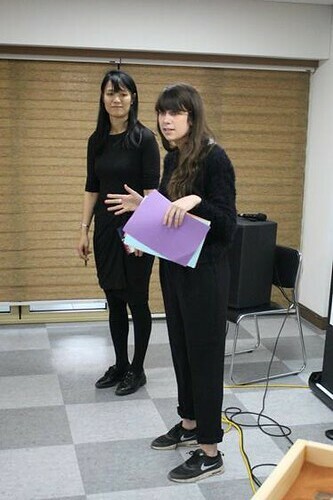 During the first year, the three REACT partners from Bristol, Rotterdam and Palermo will be engaged in a process of discussion and deliberation about the nature of their different models, and will be extending the dialogue with community arts practitioners, refugee agencies and local community organisations. This learning will take place in the context of the partners developing new community theatre opportunities with refugees in each of the three cities. The second year of the project is very much focussed on how the learning from year one can be used to improve models of practice, and to involve more European agencies and companies in considering the uses of Community Theatre in the improvement of Refugee Integration. This will be achieved through the four day REACT sharing event in March 2018, where agencies and theatre makers from across Europe will gather in Bristol to share the learning of the partners, and contribute their own perspectives to this learning. This event will be a high-profile opportunity to promote the central ideas of Community Theatre techniques, and will examine and develop models for successful delivery of refugee integration. This learning will be captured and presented in a documentary film, an online guide and a published book which will be widely disseminated by the partners. REACT is a project which has information exchange at its very heart; it is in essence a collaborative project which aims to bring together agencies – arts and humanitarian – working with theatre, communities and refugees, and looking to develop and disseminate information about best practices when working in this field. The project is structured to give each community theatre partner the opportunity to: develop a new example of its work with refugees; share this process with the other partners through a series of meetings and seminars; extend and share this work within a global and European context; create a legacy of information for interested agencies to access beyond the end of the project. The ICAF seminar in March 2017 is an unparalleled opportunity for REACT to connect with agencies and partners at a global level, to raise its profile and exchange information not only at a European level, but with organisations working in five different continents. A seminar in Palermo in June 2017 will enable the partners to focus on exploring the benefits and challenges of their individual models with agencies working directly with refugees at a flashpoint of migration, using this opportunity to learn from other perspectives, and refine their models to reach new levels of effectiveness and relevance. In year two of the project, the partners will be reaching out, contacting and engaging other agencies and organisations, including inviting and covering costs for up to ten other agencies to engage with the sharing event in Bristol in March 2018; to bring their own successful models and particular experiences, or the specific challenges faced by refugees and host communities within their own national contexts. The whole two year process will be documented through film, with each theatre performance recorded, including participants and community members’ reactions and comments, the reactions and reflections of the staff teams and from partners and collaborators at the sharing event in March 2018. This material will be used to create a documentary film, with a view to supporting agencies wishing to take the models and replicate projects within their own communities. A book (available online) will be published to accompany and augment the film, with more detail on the different practices, the partners, their national contexts, and additional information on other approaches and contexts, gathered during March 2018. In year one, each of the three partners will create original theatre which will directly engage refugees and other community members. These three pieces of theatre development will use distinct methodologies, all of which are designed to create an opportunity for refugees to use their own creativity, talents, ideas, opinions and imaginations to make original theatre. Through these individual projects, each company will create a piece of performance, which will have the support of facilitator/ directors and technicians to ensure a high quality end-product. The subject matter, content, structure and theme of each theatre piece will be controlled by the participants. It may be that the group takes the opportunity to tell their own stories of movement across borders, their individual journeys, the situations from which they have fled. Equally, it may be that they want to tell folk stories for children from their culture; or that they create a whole new story from their imagination. Thus, the theatre projects will give the refugee participants the opportunity to tell their stories, firstly to each other, and to the theatre professionals involved in the project. This will help the individuals to explore and examine their own experiences, and gain some therapeutic benefit through the process of sharing these experiences. Furthermore, the refugees will have the opportunity to share aspects of their national cultures, wither as content for the plays, or as artistic forms – using music, dance, national theatre or story-telling traditions – as part of the performance. The devising process will help to build individual confidence, raising self-esteem and communication skills which will help the performers to communicate, present themselves and feel more able to interact with the wider community. Performances will be aimed at engaging a local audience in the specific neighbourhoods with populations affected by settlement of refugees. The performances will then be presented to a wider community audience. The nature of this audience will depend on the artistic decisions taken by the participants; for example a show for children would also be able to engage the parents as audience. The performances give the local community the opportunity to see and hear refugees directly, as people with stories to tell, as performers who can make them laugh, or cry, or otherwise evoke emotions. Seeing the performers onstage as people first, will encourage the audience members to forget the negative associations of the label ‘refugee’, and enable them to feel more empathy for them. The theatre process and performance humanise participants, who will have a larger and more complex identity, both for themselves and for their community audience. There will be opportunities for refugees and the wider community to share an experience, and to discuss this after the performance. This will improve intercultural understanding and remove barriers to building friendships. It is hard to hate someone who has made you laugh, or whose story has brought you to tears. The performances will also give refugees the opportunity to be seen to be doing something positive within the wider community, to be contributing to, and benefiting, community life. Each community member who sees a performance will have their own network of family, friends, community contacts, and it is envisaged that they will talk about their positive experience of refugees, so that the impact will go beyond the immediate audience. All efforts will be made to engage the local and national media where appropriate; highlighting the special nature of the project and performance, the positive contribution of the refugee participants, and helping to identify and attract audiences.